If you think going on a “DITCH TOUR“ means you’ll be splashing around in a few feet of muddy irrigation water, think again— FLUMIN’ KOHALA is a multi-part adrenaline rush that involves kayaking and a number of stunning views. With Flumin’ Kohala, you’ll experience an exclusive adventure deep in the mountains of Kohala. This fascinating, eco-friendly experience enables you to explore the 110-YEAR-OLD KOHALA DITCH, AN IRRIGATION SYSTEM of hand-wrought tunnels, elevated flumes and concrete channels that once watered the vast sugarcane fields in the area. On a leisurely, family-friendly KAYAK TOUR, access lush, private lands, streams and man-made wonders kapu (forbidden) to all except tour takers! Tour guides, who jazz up the experience with LOCAL HISTORY AND HAWAIIAN LORE, lead adventurers on a brief hike, and then a 3-mile kayak tour through the Kohala Ditch system, which weaves through lush Hawaiian rainforest. Finally, after paddling to shore, visitors finish their tour with a drive through Kohala’s MACADAMIA NUT ORCHARDS that overlook the ocean. Be prepared: You will get wet! Please wear comfortable, water tolerant covered shoes. 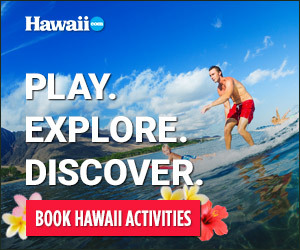 Visit fluminkohala.com for details.